Google +1 Content Locker: hides certain parts of your content and unlocks them when your visitors share your website on Google+. You’d be surprised how effective this tactic can be as long as you give your visitors a good taste of what your premium content is all about ahead of time. Social Image Hover: most content publishers understand using quality images on their websites to grab the attention of your visitors. With the rise of Pinterest, more webmasters are paying attention to including cool pictures on their websites. 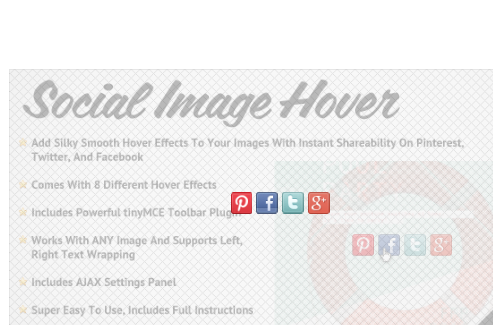 Thanks to this plugin, you can add Google+, Pinterest, Facebook, and Twitter share links to the images on your website. Exit Through Google +1: we all link to other sites from our articles. There is nothing wrong with that as long as you are linking to quality sites. 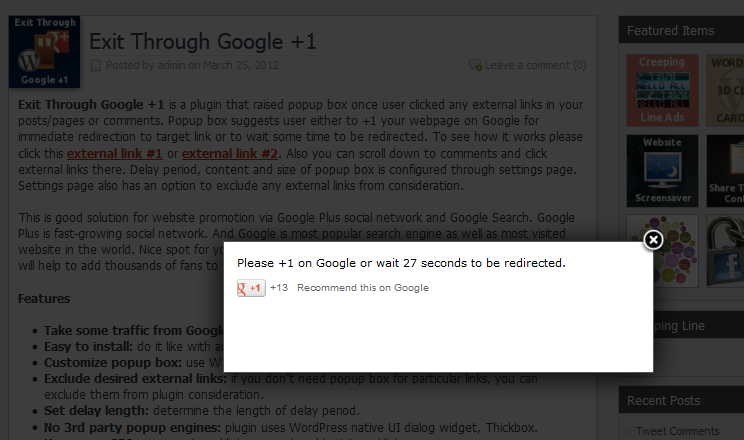 Thanks to this plugin, you can remind your readers to send you some Google+ love before leaving your website. Google Traffic Pop: nobody likes to wait to see the content you have on your website. 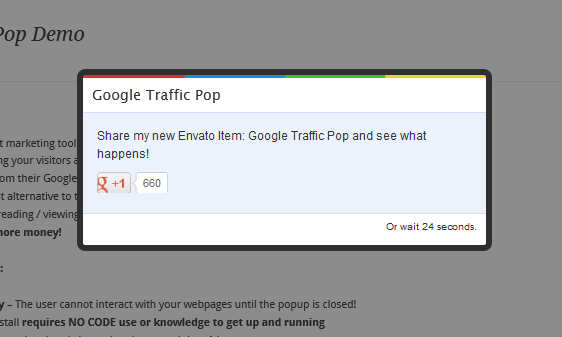 This plugin makes people wait for a few seconds unless they share your site on Google+. You want to be careful with this tactic but it could be work. It is certainly worth trying for free download pages. 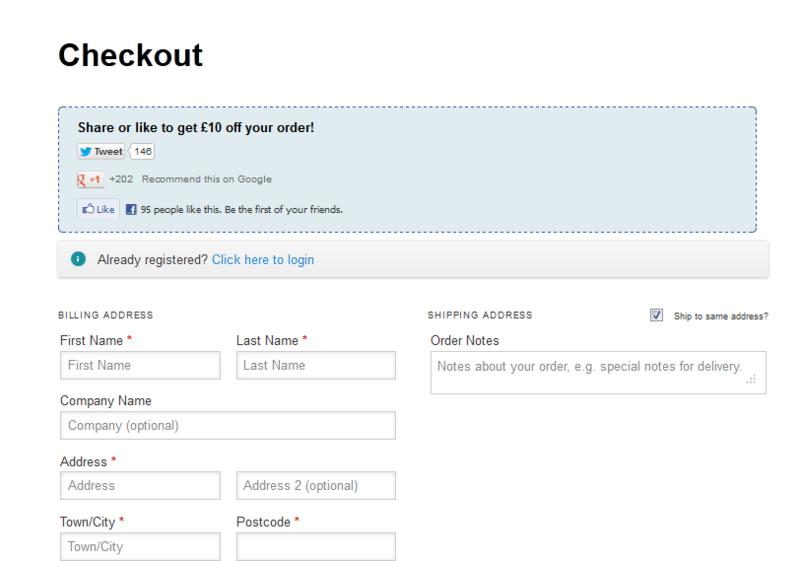 Viral Coupon: this is an awesome solution for e-commerce sites. Many buyers would love to help spread the word about your business as long as you give them a discount. This plugin makes that possible. These strategies won’t work for every site. You are going to need great content to make people want to play ball with you as far as these plugins are concerned. By giving your visitors a taste of what your premium content is all about ahead of time, you are going to have an easier time getting them to share your site on Google+. Your turn: what are some of the tactics you are using to gain more +1s and G+ shares.